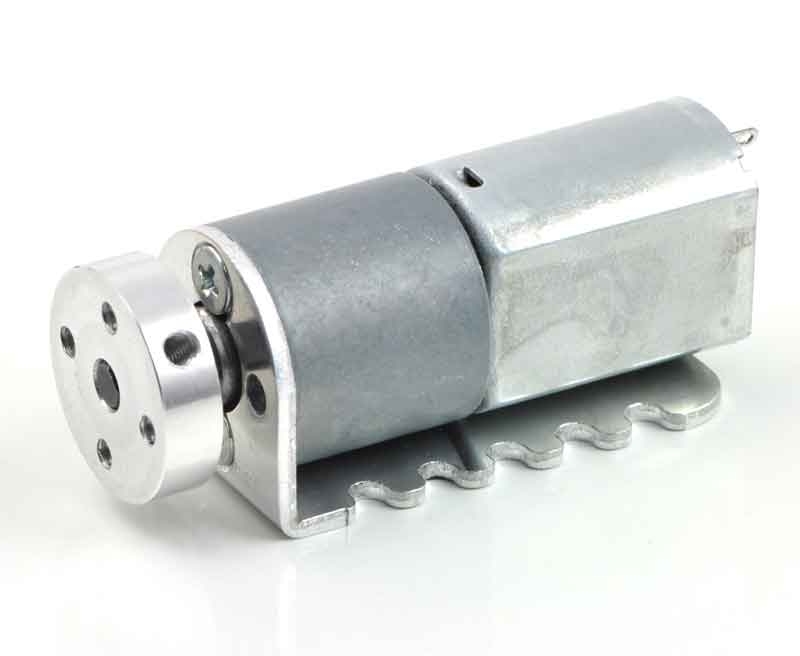 These light-weight brackets (under 5 g each) are specifically designed for the 29:1, 73:1, and 154:1 metal gearmotor 20D mm. 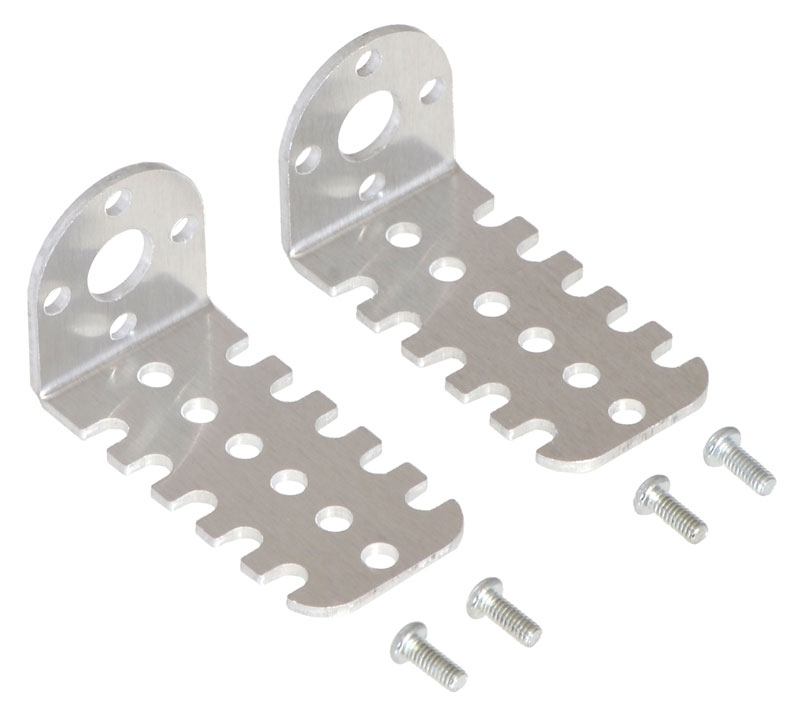 Each bracket features three mounting holes and ten mounting slots (five along each edge) for M3 or #4-size screws, giving you a variety of mounting options. A total of four M2.5 screws (two for each bracket) are included for securing the motors to the brackets. The 4mm mounting hub works nicely with this bracket.